For the past decade, labour conditions in South Korea can be characterised by rapid increases in precarious work and low pay, both of which have contributed to widening inequality. As of March 2011, precarious workers accounted for 48.5 % of the total labour force (17 million) and low pay rate as the share of wage earners earning below two-thirds of median wages (ILO) was 28% (4.79 million), a jump from 23% in 2001. Not surprisingly, most low paid workers are precarious workers. Almost half of precarious workers are expected to fall into the low-pay trap. In 2011, on average, precarious workers were paid 52.8% less than regular workers. Wage decile ratios have also deteriorated. The D9/D1 ratio has grown from 4.81 in 2001 to 5.49 in 2011. It is, therefore, no surprise minimum wages have attracted so much attention in recent years in Korea. Have minimum wages achieved their goals in Korea? The Minimum Wage Act was implemented in 1988 and has applied to all workers since November 2000 except family businesses that hire only family members, domestic workers and seamen. There is one unified national statutory minimum wage. For security guards and other intermittent workers, a sub-minimum rate of 90% is applied. This figure is adjusted annually. In Korea the minimum wage is determined by the Ministry of Employment and Labour (MOEL) based on recommendations from the Minimum Wage Council, an institution set up to deliberate on the minimum wage. The council is a kind of tripartite body which is composed of representatives from labour, management and public interest (mainly academics). The minimum hourly wage for 2012 is 4,580 won, about 4 US dollars. If we measure minimum monthly wage by purchasing power parity (PPP) conversion rates, it amounts to about US$797, which appears quite low compared with those in other advanced countries (according to ILO’s Global Wage Report). It is also low compared to average wages. In 2010, the minimum wage was only 33% of mean average wages (OECD’s average is 37%) and 41% of median average wages. Interestingly, this low level of minimum wages is actually the result of considerable increases in recent years. A decade ago, it was just over 20% of mean average wages (see Figure 1). Unfortunately, however, this rather impressive “leap forward” in minimum wages has been neutralized by increases in non-compliance. The share of wage earners earning below statutory minimum wage grew rapidly from 4.4% in 2001 to 12% in 2011. This amounted to 2 million workers, 95% of whom were precarious workers. The risk of below-minimum wage payment was more than double among women than men. Weak inspection and monitoring and light sanctions are serious issues in Korea’s minimum wage system. While 19,518 cases of violation of the Minimum Wage Act were found in 2011, only 11 cases were brought into legal proceedings. Most of them were concluded with minor, if not symbolic, punitive measures such as the administrative request for ‘correction measures’. The penalty is so low that violating the law is often cheaper than compliance. Despite their relatively low level, employers argued that minimum wages would kill jobs. Yet most of the empirical research in Korea has dismissed this argument. No strong evidence has been reported on the negative employment effects of minimum wage increases since 1990. Some studies have even shown positive effects of minimum wages on youth employment. What have unions been doing? The ILO Global Wage Report 2010/11 identified three common trends: falling labour income share, increases in low pay and widening wage inequality. South Korea is not an exception to these trends. In order to tackle these trends, the priority of trade union wage policies has changed to place greater emphasis on the reduction of wage inequality and low wage employment. The Korean Confederation of Trade Unions (KCTU), for instance, has initiated three policy measures such as conducting central industry level collective bargaining beyond enterprise units, and the extension of collective bargaining agreements (CBA) coverage, increasing the minimum wage up to 50% of the average monthly wage of fulltime workers, and reducing wage gaps between precarious and regular workers by granting higher wage increases for precarious workers than regular workers in terms of absolute size or growth rate. Particularly worrying in this regard is low and decreasing union density and collective agreements coverage. Trade union density is 9.8% as of 2010 and collective agreements coverage rate is estimated at 12%. While the labour law provides a possibility for extending collective agreements to other non-unionized workers, in reality this rarely happens due to the limitations inherent to enterprise unionism. KCTU believes that minimum wage can provide an effective measure to reduce wage inequality and reach out to low paid workers for unionisation. In particular, faced with the weak social welfare system and low collective bargaining coverage in South Korea, the minimum wage has been given an increasingly important role to protect low wage workers. A campaign entitled “People’s Wage Struggle” intended to move beyond the customary boundary of enterprise unionism and transform minimum wage negotiations into a national platform for creating wage solidarity through mobilising not only low paid workers but also regular workers. The “People’s Wage Struggle” has contributed to awakening the consciousness of regular workers and encouraging their involvement in the minimum wage campaign. Workers’ solidarity has increased, and low paid workers have become more organised in terms of seeking better wages, as demonstrated by the case of subcontracted cleaning workers at universities and metropolitan subways. Hence, the representation of trade unions has been strengthened. These developments present significant progress, but there is more to be done. One major challenge is how to move away from the current “sympathy-based” solidarity for minimum wages and to create more political and economic links between regular and low paid workers (or more broadly, precarious workers). In other words, how can we create strong and sustainable solidarity in an increasingly segmented labour market? In doing so, it is essential to make institutional and legal reforms so as to ensure fairly appropriate levels of minimum wages. The goal of introducing legal provisions which require 50% of the average wage as the “minimum” of the minimum wage is certainly a way forward. At the same time, the Minimum Wage Council should be restructured to reflect the interest of low wage workers more fairly. In particular, the practice of unilateral appointment of public interest representatives should be changed into one of full consultation or agreement with social partners. 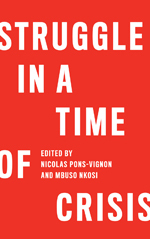 Finally, it is important to note that strategic thinking on how to connect the minimum wage campaign with union revitalisation is needed in terms of enhancing workers’ solidarity and building alliances with social movements. 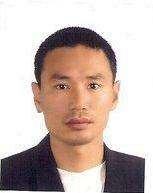 Lee Changgeun was an economic policy director of Korean Confederation of Trade Unions (KCTU). He is currently taking a course in Labour Policies and Globalisation as part of the Global Labour University.